According to a study recently published in the journal Cell Reports, researchers suggest that the rapid spread of common and deadly brain tumors can be slowed down by cutting off the way some cancer cells communicate. To conduct the study, researchers focused on connexin 46, a protein that is an important component to cancer stem cells. This protein is part of intercellular channels known as a gap junction. These intercellular channels allow cells to exchange molecules and ions—and are crucial to the growth of a glioblastoma tumor. According to researchers, when they shut down the channels in the cancer stem cells, they could reduce their tumor-forming abilities. Researchers discovered that tumor growth was significantly delayed in the mouse models that were treated with a combination of the gap junction inhibitor 1-octanol and a chemotherapy drug called temozolomide. After 100 days, the mouse models that had the connexin 46 protein suppressed genetically were still alive, and the models that did not have the protein suppressed were deceased within two months. According to researchers, the next step is to determine the inhibitors’ most effective and tolerable concentration. The technique hasn’t been tested on human subjects as yet. Hitomi, M., et al., “Differential Connexin Function Enhances Self-Renewal in Glioblastoma,” Cell Reports, doi: 10.1016/j.celrep.2015.04.021, published online May 7, 2015. 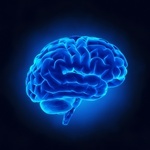 “In lab tests, new therapy slows spread of deadly brain tumor cells,” Medical News Today web site, July 28, 2015; http://www.medicalnewstoday.com/releases/297377.php.